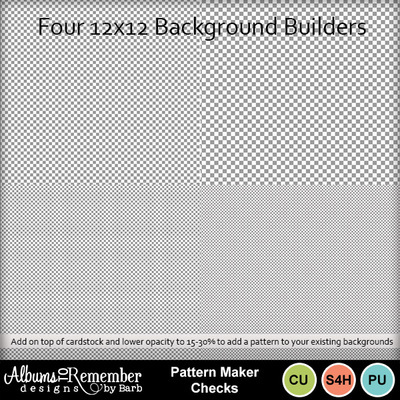 This set includes 4 pattern makers/overlays in the 12 x 12 size. Open a background paper, bring in the pattern as an embellishment and change the opacity to 15-30% to add a subtle pattern to your paper. 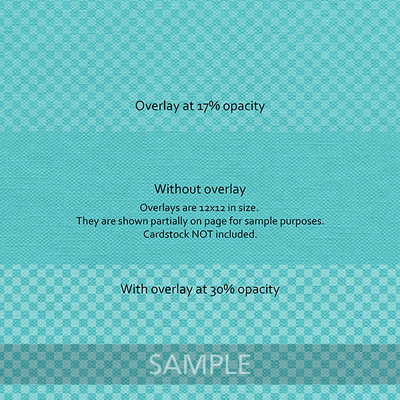 Great for those plain cardstock backgrounds that need a little something.